Not only can VMS wrap your corporate vehicles, we can also customize a wrap for any style of vehicle, even luxury sports cars with VMS Premium Wraps. VMS was approached by Symphony Financial, whom we had wrapped many vehicles for in the past. They were making plans to attend Winterfest, an event at Sebring International Speedway in Florida which draws a large crowd of drivers and car enthusiasts. The customer asked the VMS team to surprise them with a wrap design. Their only request...they wanted something that was unique and was going to leave a lasting impression. For the next few weeks, the VMS graphic design team worked on a design that would stand out at the event and "wow" our customer. With a design ready, we reached out to our good friend, Ritchie Daize from Arlon to help make this a reality. 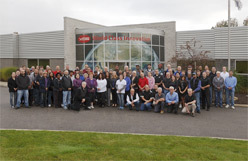 Ritchie was excited to join the project and showcase Arlon's film SLX and 3210 Laminate. The Dodge Viper ACR is one of the more difficult vehicles to wrap, which made this the perfect opportunity to test this Arlon material. VMS printed the custom designed vinyl wrap and Ritchie traveled from Canada to our installation facility in Twinsburg, Ohio and trained our team of installers through Arlon's WrapItRight program. He provided expert installation tips on the best practices when handling and installing this type of Arlon vinyl and even joined in on the installation to make sure it all ran smoothly. In the end, not only was Symphony Financial impressed with the design and installation of their premium wrap but they also received nothing but amazing feedback from attendees at the race. Check out the video below to see a behind the scenes look at the Symphony Financial Dodge Viper ACR being designed, printed, and installed by the professionals at VMS. 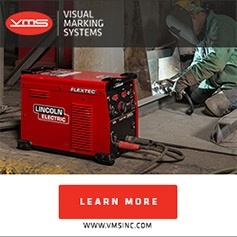 Visual Marking Systems is a leader in the customized digital, screen and large format commercial printing industry. © 2017 VMS. All Rights Reserved. SGIA, AEM, APTA, TRALA, RU, ISO, PDAA and 3M names & logos are copyright of their respective owners.